"We’re so grateful for Staples' continued partnership in helping teachers and students to succeed, as well as for the support of its loyal customers and Katy Perry"
FRAMINGHAM, Mass.--(BUSINESS WIRE)--Staples (NASDAQ: SPLS) and global superstar Katy Perry teamed up and helped hundreds of teachers bring learning to life through the 2016 Staples for Students program, which fulfilled $1 million in classroom projects through the non-profit organization DonorsChoose.org. In April, Staples announced a $1 million donation to DonorsChoose.org, a charity that has funded more than 800,000 classroom projects for teachers and has positively affected more than 20 million students across the country. As a result, Staples fulfilled 1,072 classroom projects across the country, providing 787 teachers in 402 schools with their classroom needs, and impacting 98,609 students. 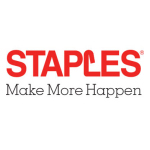 Additionally, Staples customers nationwide donated more than $330,000 to DonorsChoose.org at Staples stores and www.StaplesForStudents.com in the lead-up to back-to-school season. The program was driven by a statistic from the Education Market Association that an estimated 99.5 percent of all public school teachers use their own money to equip their classrooms, frequently at a cost of more than $400 per year. “We’re so grateful for Staples' continued partnership in helping teachers and students to succeed, as well as for the support of its loyal customers and Katy Perry,” said Charles Best, founder of DonorsChoose.org. “This year marks the third time that we’ve worked with Staples to help teachers make more happen, and we’ve again heard directly from teachers that Staples and DonorsChoose.org have made a lasting impact on their classrooms." Katy Perry presented the grand prize winner of the Staples for Students Sweepstakes, Patricia O’Keefe and her son Matthew, Deep River, Conn., with a $50,000 scholarship at a Winners VIP Celebration in Los Angeles on October 13th. Matthew is a senior in high school and is currently applying to colleges for enrollment in fall 2017. Four lucky first prize winners and one guest each also joined the celebration and met Katy Perry. 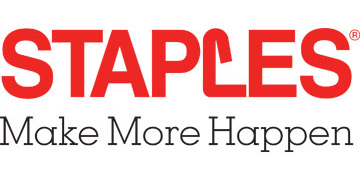 Staples has a long history of supporting students, teachers and classrooms. Staples for Students is an ongoing program that helps students and teachers with the school supplies and essential items needed to achieve success in education. The Staples for Students campaign has included school supply drives, support for teachers in classrooms, donations for education projects, classroom initiatives such as Designed by Students, and the sale of products that give back to communities and classrooms in need. Founded in 2000 by a Bronx history teacher, DonorsChoose.org has raised more than $470 million for America's classrooms. Teachers come to DonorsChoose.org to request the materials and experiences they need most for their classrooms, and donors give to the projects that inspire them. More than 2 million people and partners have funded 800,000 projects on the site, reaching 20 million students and making DonorsChoose.org the leading platform for supporting U.S. public schools. DonorsChoose.org is the only crowdfunding platform that vets each request, delivers materials directly to schools, and captures the impact of every funded project with photos, thank yous, and a cost report showing how each dollar was spent. In 2014, DonorsChoose.org made the top 10 of Fast Company’s list of the World's Most Innovative Companies, the first time a charity has received such recognition. Learn more at www.donorschoose.org.